Bitcoin Press Release: The decentralized application workID verifies an individual’s work history and qualifications on the blockchain and is being hailed as “LinkedIn in on the blockchain”. May 29, 2018. George Town, Cayman Islands – WorkChain.io, the blockchain solution for the future of work, has launched its debut decentralized application workID, the world’s first Immutable CV built on the blockchain that is designed to transform how the professional world works. WorkChain.io CEO Ivan Petrovic, a veteran of the workforce technology industry, made the official announcement, revealing how workID will use blockchain technology to shape the future of work, hiring and even payroll. workID is a decentralized application built on top of the WorkChain, a public ledger of verified proof of work records created through integrations with trusted data sources, such as workforce management and payroll systems. workID is the first decentralized application built on the WorkChain through the platform’s proprietary blockchain protocol. The second, workPAY, will enable real-time payroll processing using the verified work records of the WorkChain platform. “The way the world works is shifting rapidly toward on-demand and independent work,” Mr. Petrovic continued. “For example, in the US alone, there are 78 million hourly wage workers and 50 percent of people are expected to work independently by 2020.
workPAY uses the validated proof of work records of the WorkChain to create real-time payouts for employees and simple, automated payroll processing for employers. Through workPAY, WorkChain.io is aiming to become the first blockchain platform to directly create opportunities for people in traditional jobs to earn cryptocurrency. Development of WorkChain.io began in mid-2017 and the platform had its beta launch in April 2018.
workID is now live by invitation only by visiting www.workchain.io or by joining the company’s official Telegram group. Test payments through workPAY are scheduled to begin in the coming months. 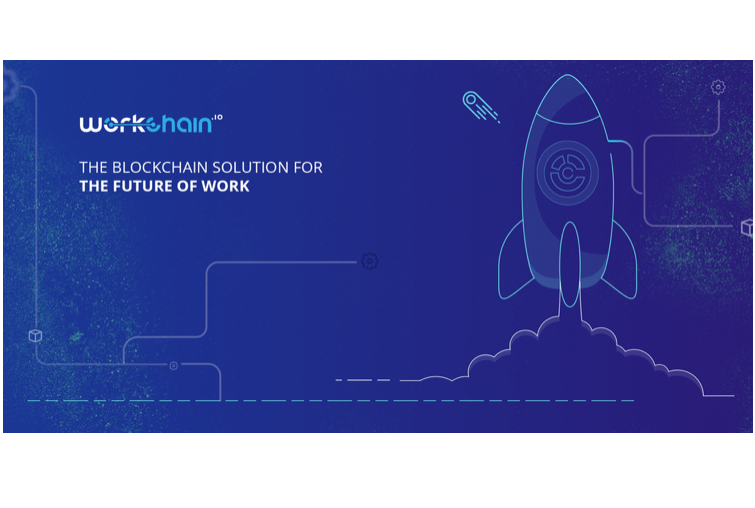 WorkChain.io is the blockchain solution for the future of work, creating better ways to get hired, paid and access capital. WorkChain.io is a Cayman organization employing people globally through offices in California, Panama, and Serbia. The WorkChain.io team has spent the past ten years working hands-on in the global workforce management sector and collectively founded seven successful ventures. WorkChain.io is the source of this content. Virtual currency is not legal tender, is not backed by the government, and accounts and value balances are not subject to consumer protections. Cryptocurrencies and tokens are extremely volatile. There is no guarantee of a stable value, or of any value at all. Token sales are only suitable for individuals with a high risk tolerance. Only participate in a token event with what you can afford to lose. The post WorkChain.io Unveils workID, the World’s First Immutable CV on the Blockchain appeared first on Bitcoin PR Buzz.